An amended version of Mayor Kenney's proposed "soda tax" made it past committee in Philadelphia's City Council this evening. It will go before the entire council next Thursday. Kenney had proposed a 3-cents per ounce tax on sugary drinks to pay for universal Pre-K, community schools, and parks and recreation imporovements. 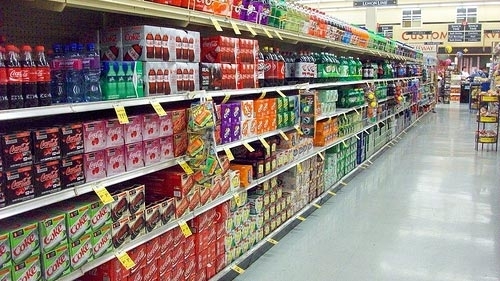 The amended proposal cuts the tax in half to 1.5-cents per ounce, but expands its reach to include artificially sweetened drinks like diet soda. The soda industry spent millions on ads in the past months decrying the possibilities of the new tax. Hundreds of protesters on both sides of the debate gathered inside and outside of City Hall all day Wednesday as council members convened for the vote. That vote did not come until early in the evening. Philadelphia would become the first major city to enact such a tax. Governor Wolf signed a bill on Wednesday that will allow wine by the bottle sales at supermarkets, hotels, and restaurants that currently have liquor licenses. Customers will be able to buy up to four bottles of wine for takeout at these licensed locations. The bill also allows for flexible pricing at state stores and allows for state stores to be open on holidays and more to be open on Sunday. Customers will also be allowed to have wine shipped to them directly from wholesalers. Wolf says the bill "will improve the customer experience, this bill will make pricing more competitive, it will make the purchase of these products more convenient, and it will produce more revenue for the Commonwealth of Pennsylvania." Dozens of cars were damaged in Fishtown early Wednesday morning. Residents along Memphis St. woke up to shattered glass and broken windows for several blocks. The vandals struck sometime around 4 a.m. Some pulled out tarps to keep out the rain from today's showers. Police are looking at area surveillance to find clues regarding the suspects.